The Carrera collection is an upscale blend of contemporary and mid-century modern styles. Platinum white faux leather compliments slate gray hardwood for a palette that is classy and chic in a design that is simultaneously sleek and curvy. 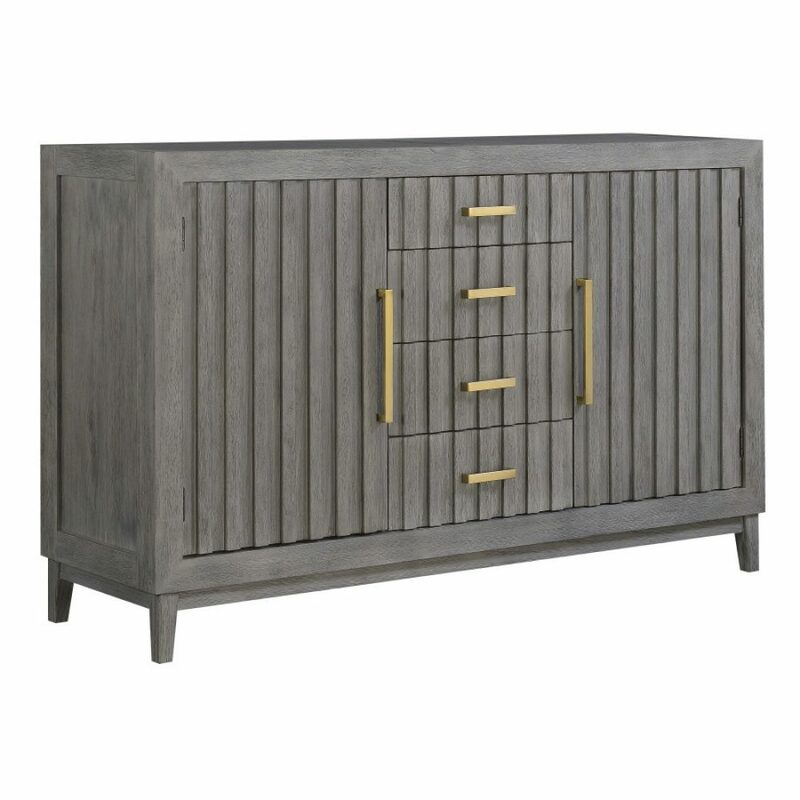 The elegant brushed gold hardware adds a hint of glam to this collection that is sure to set the tone of sophistication and leave a lasting impression.